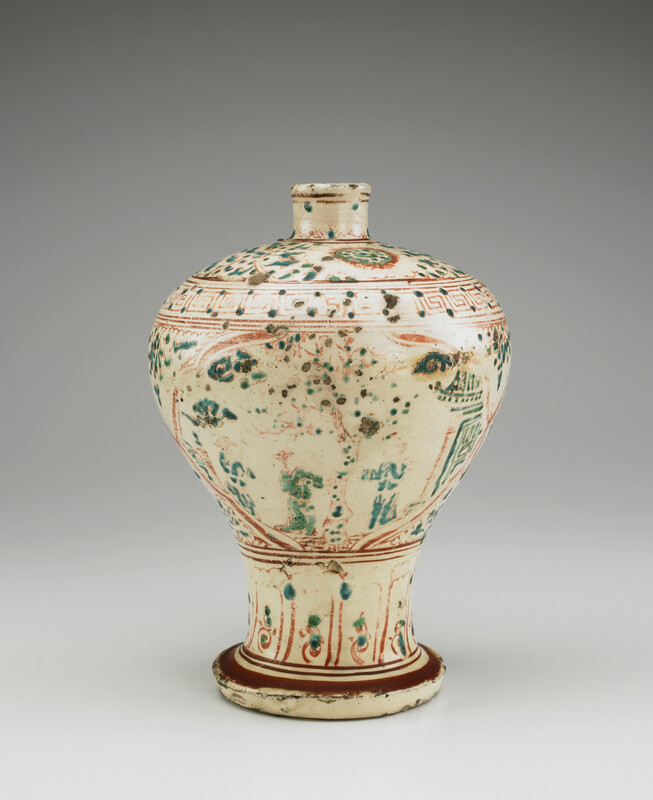 This Ming dynasty bottle features figural decoration on the surface, as do many of the ceramics that Freer chose to display on the shelves along the east wall of the Peacock Room in 1908. He purchased it in 1901 from the Parisian art dealer Siegfried Bing. At that time, it was believed to be Korean, though subsequent scholarship has identified it as originating in China. "Bottle," in The Peacock Room, Freer Gallery of Art, Smithsonian Institution, Accession No. F1901.64, Item #3152, http://www.peacockroom.wayne.edu/items/show/3152 (accessed April 19, 2019).